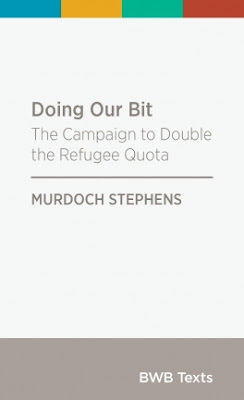 In 2013, Murdoch Stephens began a campaign to double New Zealand’s refugee quota. Inspired by his time living in Aleppo, Syria, over the next five years he built the campaign into a mainstream national movement – one that contributed to the first growth in New Zealand’s refugee quota for thirty years. Doing Our Bit is an insider’s account of political campaigning in New Zealand. It tells the story of how strongly held convictions about New Zealand’s refugee policy were turned into a public campaign which helped create significant policy change. 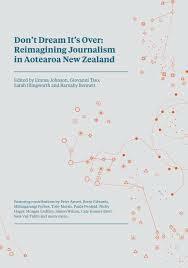 This BWB Text is essential reading for anyone interested in grassroots campaigning or how political change happens in New Zealand. 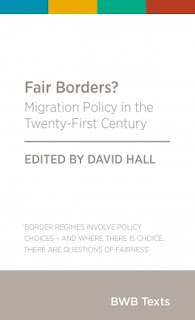 Murdoch Stephens (2018) '”Unfair and Discriminatory”: which regions does New Zealand take refugees from and why?' Policy Quarterly, 14 (2), 74-79. Murdoch Stephens (2017a) 'Rethinking frameworks for refugee advocacy: an analysis grounded in political and democratic institutions', Journal of Refugee Studies. Murdoch Stephens (2017b) ‘Refugee Resettlement and Activism in New Zealand’. Forced Migration Review, 54, 43-5. Murdoch Stephens (2014a) ‘Pacific Insoluble: contemporary issues in New Zealand’s refugee quota policy’, New Zealand Sociology, 29(2), 55-77. 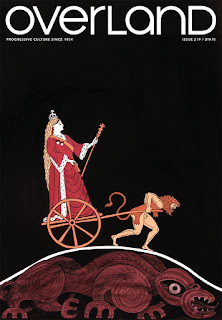 Murdoch Stephens and Shannon Te Ao (2014b) ‘Unwelcome guests: hospitality, asylum seekers and art at the 19th Biennale of Sydney’, Hospitality & Society, 4(3), 193-202.